Recently I was contacted by the owner of Swift Freight, a multi-national corporation that ships products for it’s customer all around the world. With the rising cost of phone services eating into the bottom line, they decided to install IP phones in three locations. They purchased and signed up with Phonebooth.com and purchased phones and service for their offices in California, New Jersey and in India. I was asked to provide a router with Quality of Service (QoS) features to ensure adequate bandwidth for the new IP phones as well as Virtual Private Networking (VPN) for the California office. 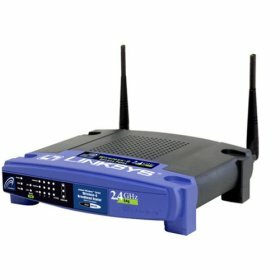 Their current router was the venerable Linksys WRT54G. The options were to either purchase a new router with the required functionality (the phone vendor suggestion) or upgrade their current router with third-party firmware (my recommendation). From my own use of third-party firmware (DD-WRT) I knew that their router had the capability to fulfill their requirements if it was upgraded. The client chose to go with my recommendation of the upgraded Linksys router. The router was taken off-line, upgraded with the DD-WRT firmware and put back in service. The router was then configured for QoS for the SIP protocol that their new IP phones use. The VPN service on the router was enabled and configured for two remote employees to access the company internal network. Phone quality is now guaranteed and the office resources are available to remote workers.